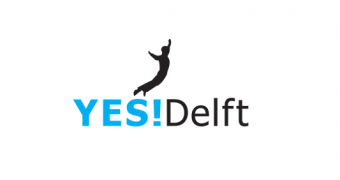 At YES!Delft, we believe in the impact tech companies can have, because they provide a crucial contribution to the progress of our economy and society. We foster technological start-ups to become leading in their industries. We promote and stimulate entrepreneurship to accelerate solutions to modern day challenges. YES!Delft unites the forces of start-ups, coaches, investors, and innovative corporations to fuel entrepreneurial success. We offer guidance and support in building and growing a company and we encourage students, professionals, and scientists on their path of entrepreneurship. By putting the entrepreneurs’ interest first, we help turn promising ideas of ambitious people into solid start-ups and successful companies. YES!Delft focuses on entrepreneurs with concrete ideas for technical, innovative and scalable products or processes. We support them in numerous ways. It starts by inspiring the future entrepreneurs to make their dream come true. We introduce them to the opportunities out there and explain them the benefits and possibilities of being an entrepreneur. By means of education we help the students and young entrepreneurs with their development. With high quality training programs the entrepreneurs lay out a solid foundation for their own company. We offer them office space and many (technical) facilities, access to an interesting international network and optimal knowledge sharing circumstances to incubate and make these promising companies grow even further.